This photo made me quack up...ok corny joke time is over. 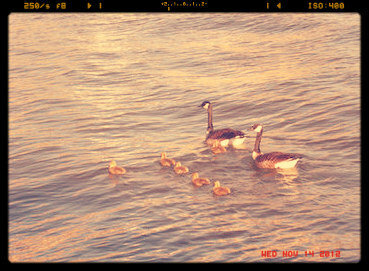 I think they are geese . . . This us adorable. Also, there's something almost military-esque about the formation (except for that little one out front, of course). haha. Never thought of that. They are(minus rebellious one) in a very structured line. Aren't they? I think original ducks are better, though . . .